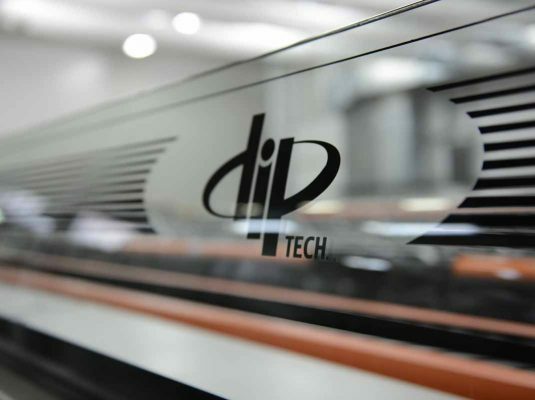 The innovative Cromoglass® digital glass printing technology is a unique solution that combines the durability of ceramic paints with the versatility, quality and high resolution of digital printing. Compared to traditional screen printing on glass, which requires the construction of a frame and a roll passage for each colour, Cromoglass® is clearly the most advantageous solution from all perspectives: from the economic to production times, and the aesthetic quality and performance of the finished product. With Cromoglass®, today we can quickly and easily reproduce drawings or paintings on glass from a simple digital file. Cromoglass® allows us to achieve unparalleled results in any type of application, both indoors and outdoors, meeting any aesthetic and functional requirement.